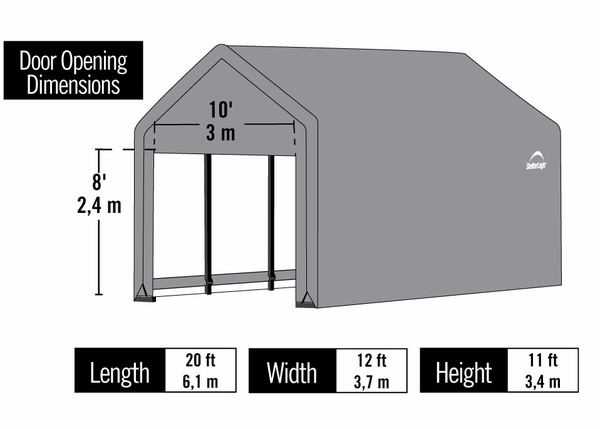 When you need the maximum security and durability you get from a portable shelter built to handle tough snow loads, look no further than the ShelterTube portable shelter from ShelterLogic. The 15-gauge steel frame boasts five durable ribs with five feet spacing, for stability that resists winds up to 80 mph and snow/ground loads up to 43 pounds per square foot (when properly anchored - see below.) The frame's powder coating helps it defy rust, chipping, and corrosion, and the 9-ounce triple-layer ripstop polyethylene fabric is also ready to stand up to snow, rain, and wind. Shelter cover also available in green. How long does it take to assemble this? 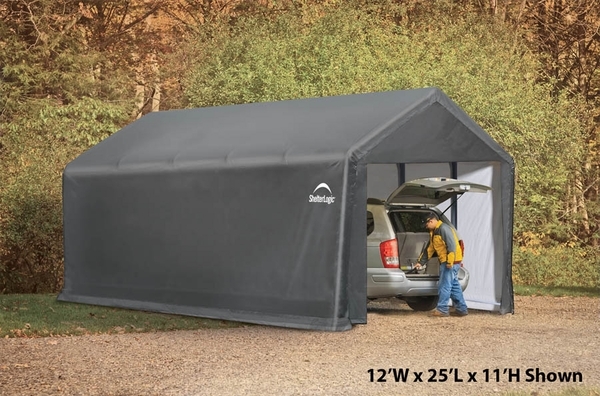 I'm looking for a 12x20 that will withstand 40mph winds with the sides on. We print t-shirts onsite and need something that can be assembled in 30 minutes or less by 2 people. 3 or more individuals recommended for assembly, approximate time 3 hours. This is going to be true for any product that can withstand those type of winds. Larger units may take longer.